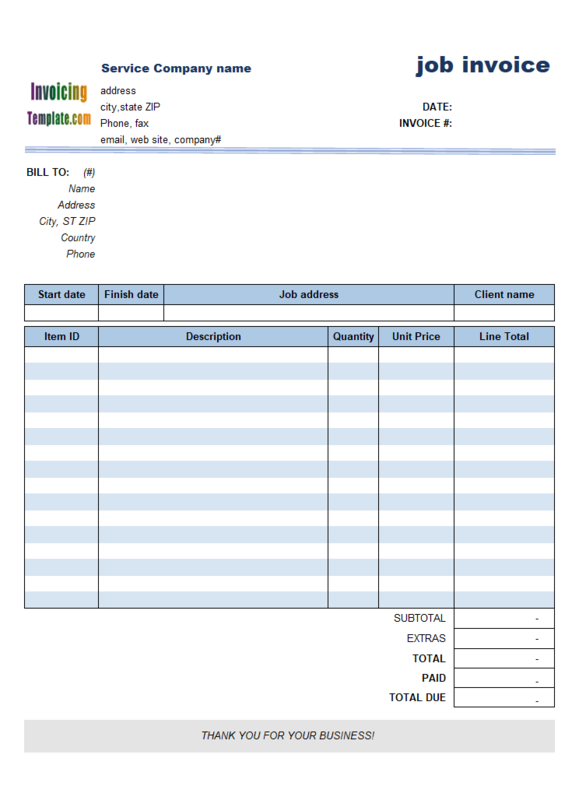 Itemized Graphic Design Invoice or Itemized Graphic Design Format, is an Excel spreadsheet template designed for freelancers, artists, writers, photographers that charges for the services performed based on hours and hourly rate. 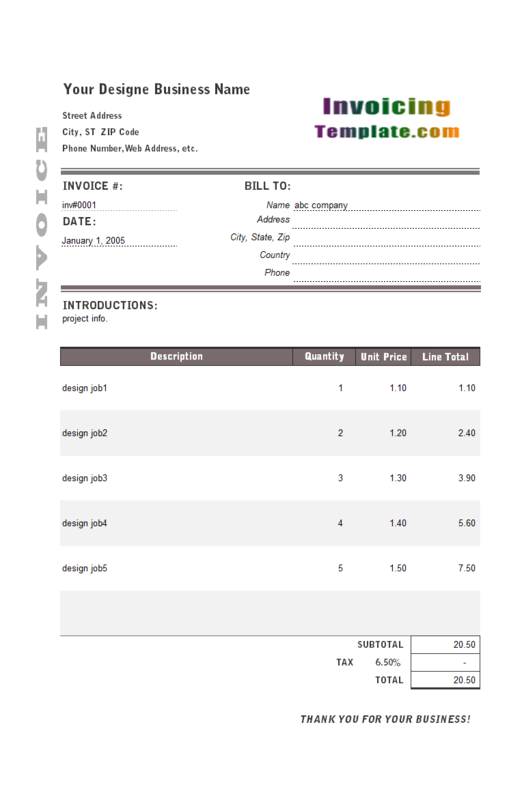 c4044 now includes the customized invoice template for the latest version of Invoice Manager for Excel. This is what you will see when you open graphic-design.xlsx. 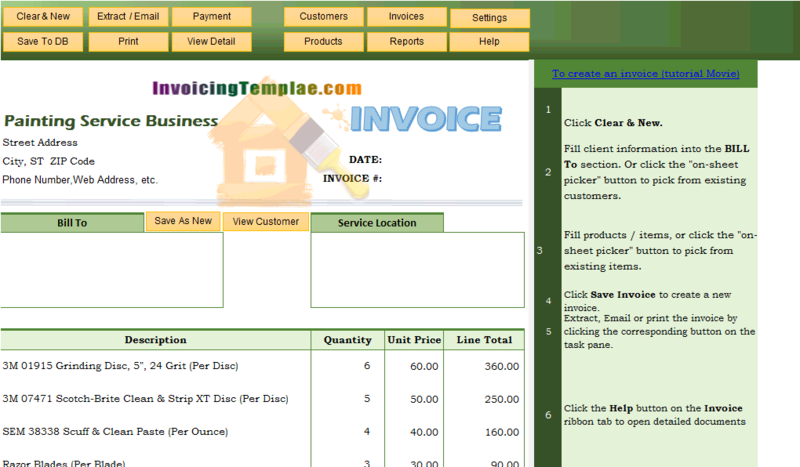 We've already have several customized template here on InvoicingTemplate.com that show hours and hourly rate. 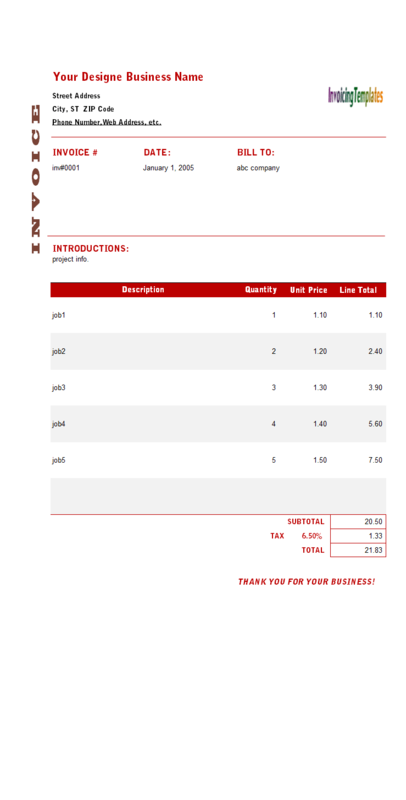 For example, Designer Invoice Template (Gray), Designer Invoice Template (Blue), and Designer Invoice Template (Red) - these 3 templates have exactly the same fields and layout, but differs from each other in the color schemas. 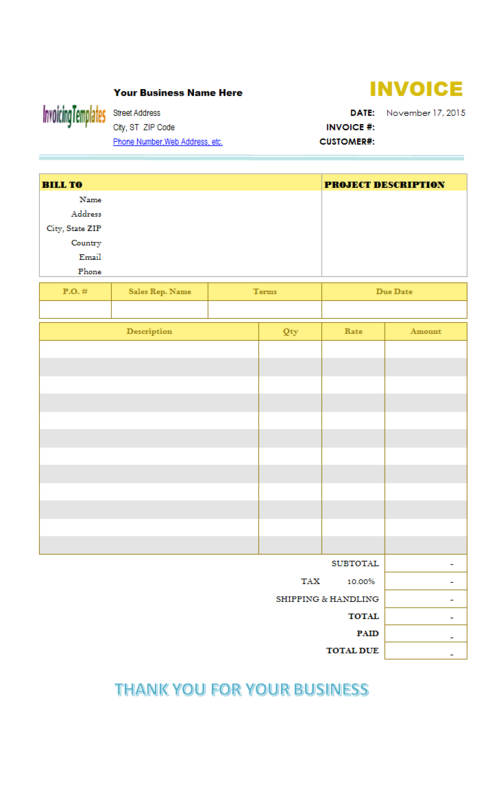 And, all these 3 templates include an "Introduction" field where you can put on a brief description about the service project. 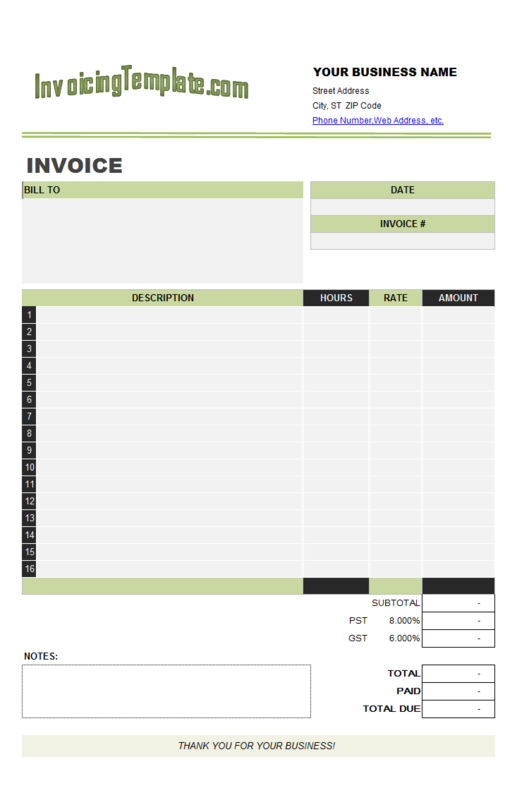 Furthermore, all templates listed on Invoice Template Hourly Rate could be used for this purpose too. 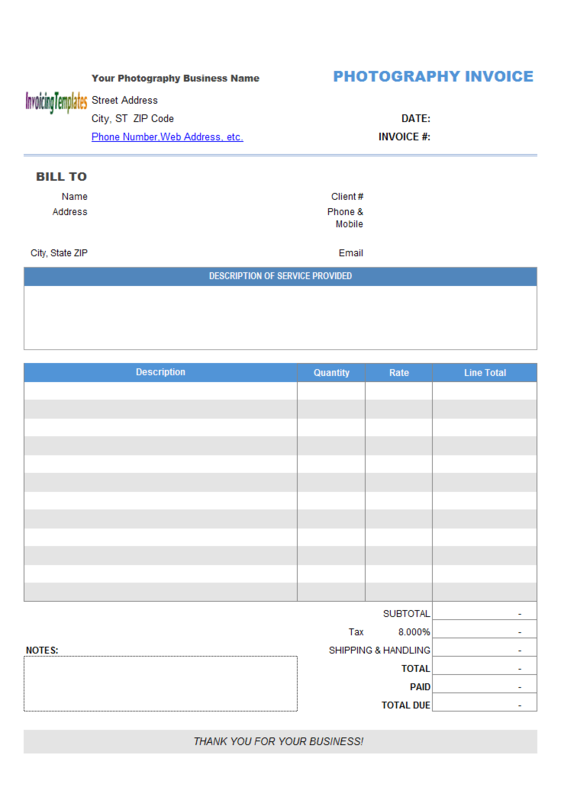 So this template (Itemized Graphic Design Invoice / Itemized Graphic Design Format) is just another style for you to choose. 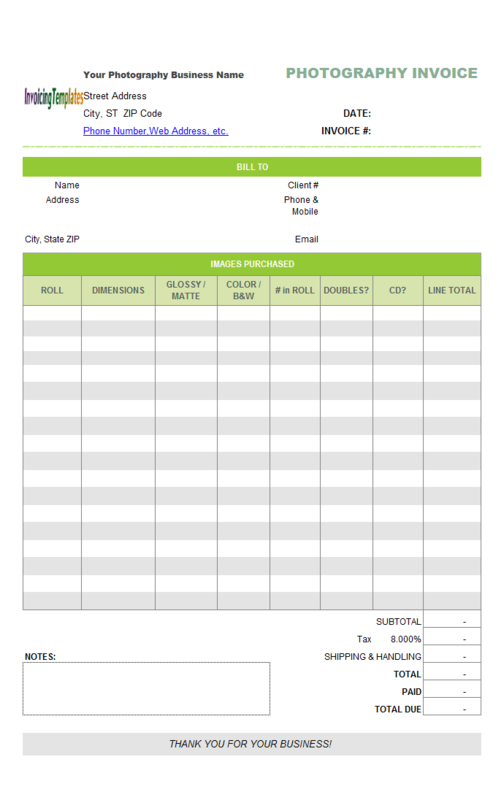 As always the template works well with Invoice Manager for Excel (namely Uniform Invoice Software), which is our invoicing app that runs inside Microsoft Excel and connects an Excel spreadsheet template with a backend database, thus providing all the invoicing features required by a small business. 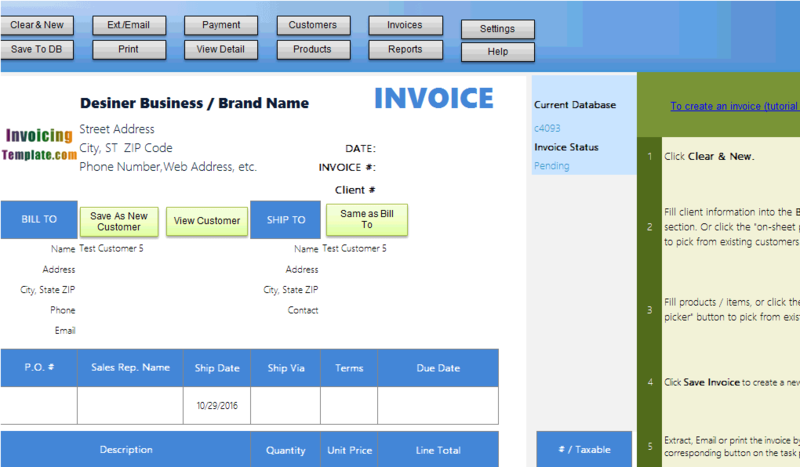 For example, if you want to retrieve an old invoice created for a customer but have forgot the name, phone number etc., and what you know now is only part of the address of the customer. 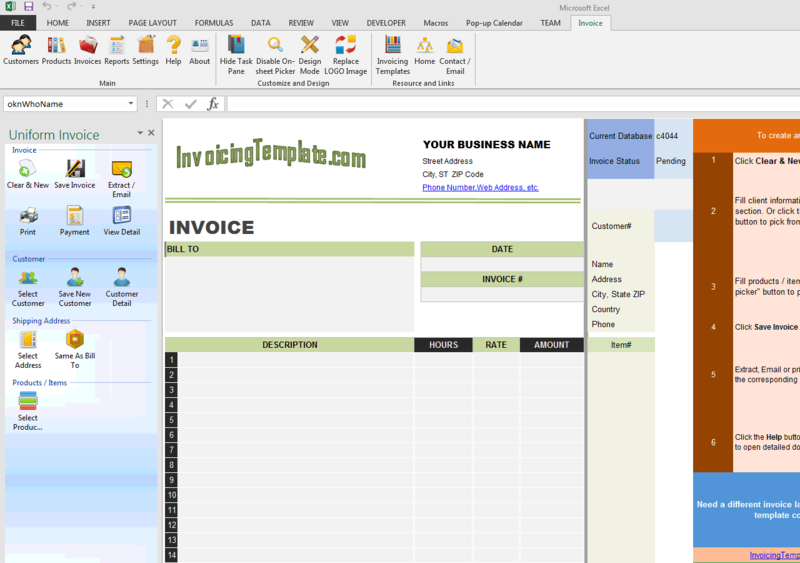 Without Invoice Manager for Excel (namely Uniform Invoice Software), searching from a bunch of Excel spreadsheet files, PDF files or Microsoft Word files to find invoices belong to that customer, could be real challenge. 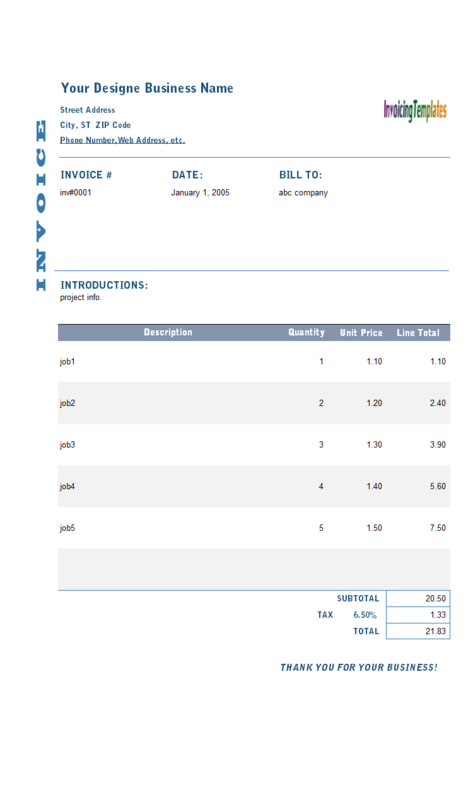 On the other hand, if you have Invoice Manager for Excel (namely Uniform Invoice Software) installed, it is as simple as several mouse clicks and typing several key letters on the search bar. 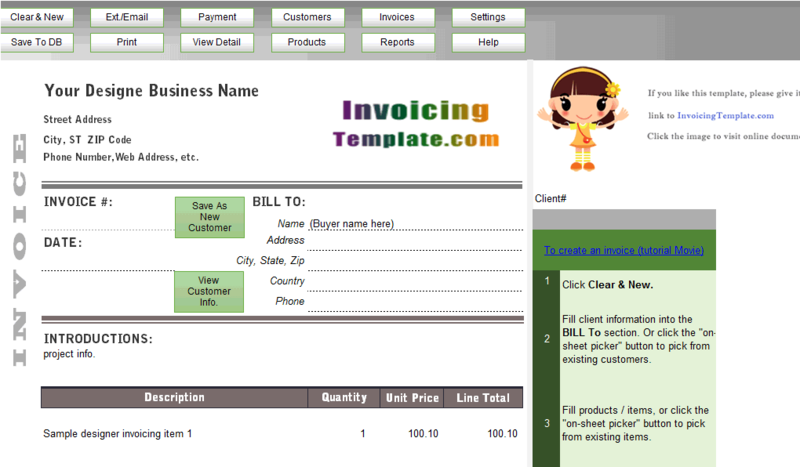 Most templates here on InvoicingTemplate.com have a logo image which is implemented as an Image object, but with Itemized Graphic Design Format we take another approach by adding a "WordArt" object which is named "oknWidget_logo2". As you can see from the screenshot, this simple text logo produce pretty good result. However, if you still want to use your existing image logo object, it could be easily done by clicking the "Replace Logo Image" command on the "Ribbon" tab. 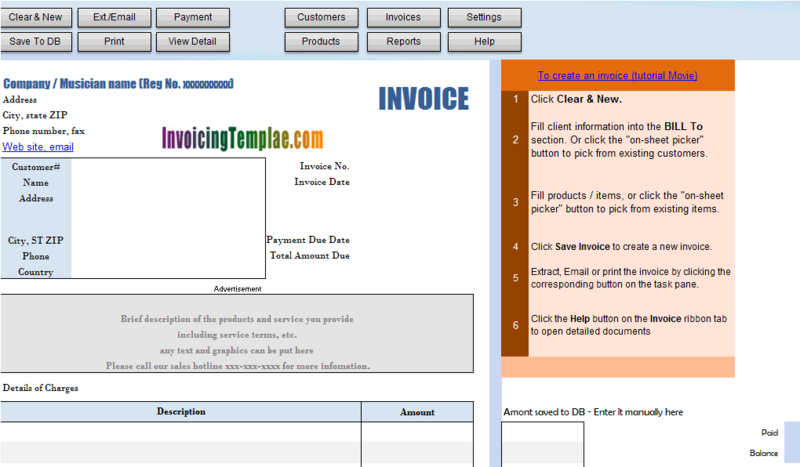 And to delete the placeholder "InvoicingTemplate.com" logo, simply switch to design mode, click the logo to select it, and then hit the "Del" key on your keyboard. 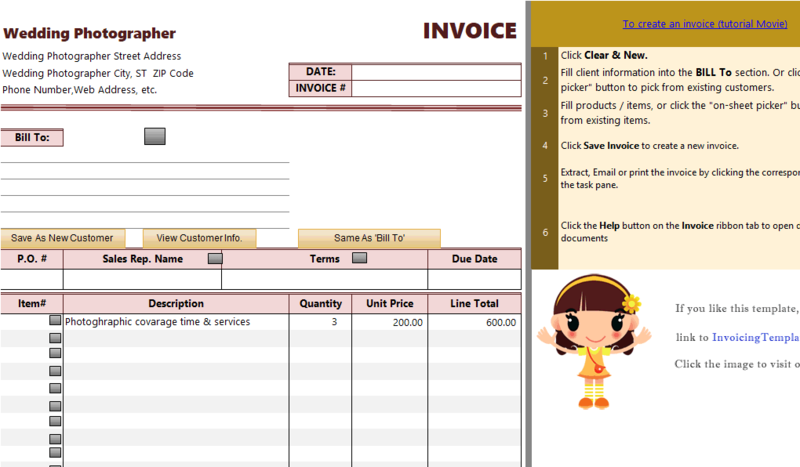 Like other form designs here on InvoicingTemplate.com, Itemized Graphic Design Format is free (offered to you at a price of 0.00USD). It works on Windows XP and all newer versions of Windows, and Excel 2007, 2010, 2013 or 2016.